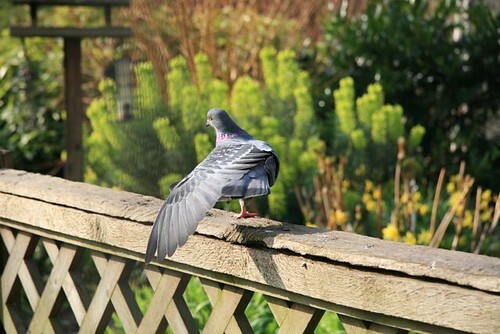 Firm favorite, Olga, went on to win Gold for Team London in the final event in the 2012 Pigeon Olympics, the Wing Stretch. It was an amazing performance and no-one came anywhere near. So, that’s it. All over for another four years, and it’s been brilliant. Every minute of it. I was on my way to Stratford when I thought I had to post this. London ended up top of the medals table in the Pigeon Olympics. Total genius. Talk about inspiring a generation. Right. Off to party. Don’t hold your breath for a post tomorrow. August 12, 2012. 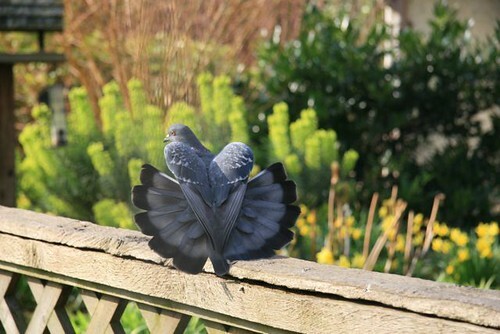 London Pigeon Olympics 2012, Uncategorized. Have a good time at the party! Don’t fall off your perch…. August 12, 2012 at 8:00 pm. Permalink. Have a riot – you all deserve it. There will no doubt be hot and cold vom thrown on for you and hopefully some great special brew. August 12, 2012 at 8:11 pm. Permalink. How did Team Yorkshire do? August 12, 2012 at 11:55 pm. Permalink. August 13, 2012 at 12:16 am. Permalink. August 13, 2012 at 8:53 am. Permalink. Stellar coverage, Brian. Hope that Olga’s just showing some Teutonic influences in her heritage and that doping won’t raise it’s ugly head in the path of her triumph. August 13, 2012 at 2:23 pm. Permalink. Never seen such wonderful stretches, yes Gold so well earned, must have taken so long to get that good, very early mornings in all weathers, etc. etc. Enjoy the party…..
August 13, 2012 at 8:41 pm. Permalink. Here’s a little portrait of you, hope you like it! August 17, 2012 at 1:38 pm. Permalink. I am a pigeon-feeder in Hong Kong for ten years..sorry to interrupt, but wanna ask webmaster whether you are fond of taking photo of pigeons? adoring them? or feeding them? August 17, 2012 at 5:52 pm. Permalink. August 17, 2012 at 10:29 pm. Permalink. August 23, 2012 at 8:54 pm. Permalink. August 24, 2012 at 7:32 am. Permalink. November 1, 2012 at 11:35 pm. Permalink. September 30, 2015 at 8:43 am. Permalink.